South Africa is a unique environment in which to spend time volunteering abroad and is a thriving and lively destination for a work experience placement. Projects Abroad is based in the bustling cosmopolitan city of Cape Town, close to the southern tip of the African continent. Projects are available for anyone interested in volunteering in the developing world; whether you are on a gap year, a summer placement, or a career break. Volunteers are needed to help teach literacy, music and assist local teachers in schools, and to work in crèches and day care centres. 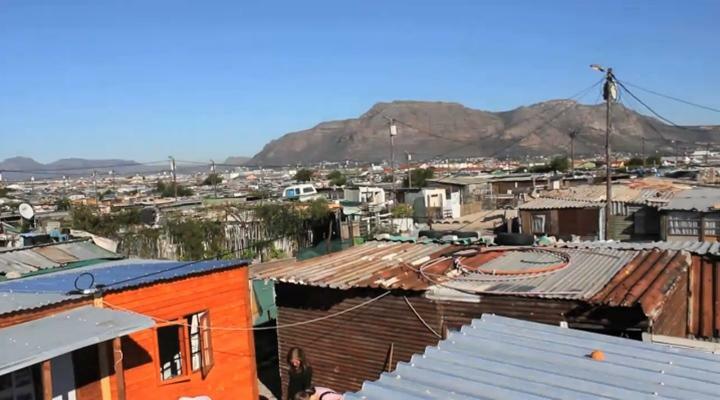 There are also options to join a practical building project within the poor townships or work on sports projects with underprivileged youngsters. Volunteers wanting to gain work experience in South Africa can choose from a range of innovative projects including International Development, Journalism, Law & Human Rights and Animal Care projects. Most of our projects are based in the townships of Lavender Hill and Vrygrond, and in the smaller outlying suburbs. By living and working in these mixed-race communities, you’ll start to understand the complexities of South Africa’s past and help to give the younger generation the tools they need for the future. Our Conservation & Environment project is based on the Botswana side of the Limpopo River border with South Africa, though you’ll also spend some time in South African nature reserves. Your time will be split between collecting scientific data and creating species lists, hands on work doing tree wrapping, maintenance of water holes and building bird hides, and learning new skills such as animal tracking and GPS mapping. Thought to be the birthplace of mankind, this land historically attracted Europeans as a gateway to Africa. At the start of the 21st century, South Africa is leading the way in African politics, and is seen as an inspiration to other countries. With eleven national languages, and a variety of religions South Africa truly is the 'Rainbow Nation'. Living in Cape Town, the third largest city in South Africa, is the perfect base for the huge variety of surrounding attractions; from the famous Table Mountain with its unique species of plants and animals which forms the dramatic backdrop to the city, to world class vineyards and stunning beaches with multiple surf spots, to the heady mix of trendy establishments at the Victoria and Alfred Waterfront, finally stretching on to the foreboding beauty of Cape Point. Inside the city bowl lives a population with a hugely varied demographic, both in terms of race, religion, language, wealth, and interest. Whatever your sport, your hobby, taste in music, preferred choice of dinner… you’ll find it in Cape Town, whose cultural calendar overflows with events to suit every taste. In terms of travel after your placement, South Africa’s attractions will spoil you. With mountains in the east and centre of South Africa, you could be climbing or skiing one day and on the beaches in Durban the next. South Africa is the home of adventure travel, boasting the highest bungee jump in the world. The Game Reserves where you can view the Big Five are also an essential part of the South African experience. Combine these activities with beautiful beaches and traditional sundowners after a safari and you're in for either a thrilling or a relaxing time; the choice is yours! Assist with the rehabilitation of disabled children through a specialised therapy programme that involves helping them to ride horses. Volunteers in this placement will raise awareness of the importance of nutrition and help improve nutrition in underprivileged township areas. Volunteer in the beautiful city of Cape Town and gain invaluable teaching experience in a challenging yet rewarding environment. You can work as a teaching assistant, or focus on IT or literacy. Volunteer in the beautiful city of Cape Town and teach children or young adults basic IT skills. Show students how to switch a computer on, explain how to use software programmes and the Internet. In Southern Africa, there is a great deal of conservation work for volunteers to get involved in. You can take part in activities such as wrapping trees to prevent damage from elephants, removing alien plants and collecting scientific data about the birds and elephants living in the reserve. On this volunteer law project you will be working towards defending victims of human rights abuse. As a volunteer you will be situated in the Projects Abroad Human Rights Office (PAHO) in Cape Town.